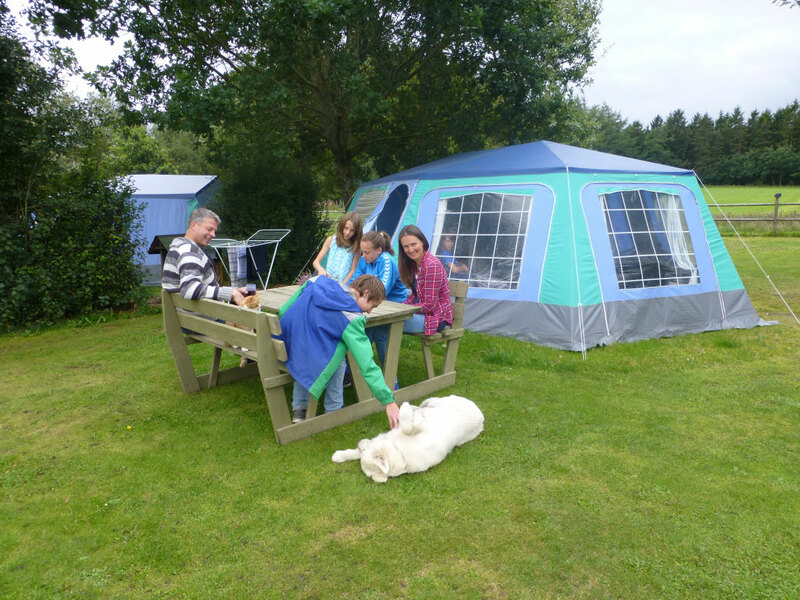 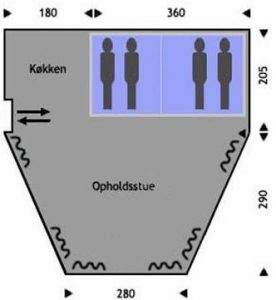 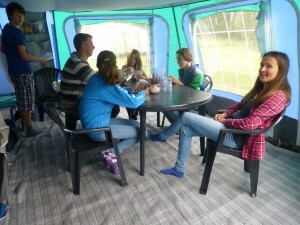 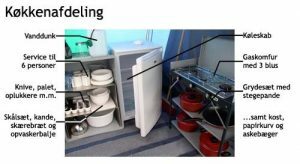 4 person familie tent is 25m2. Situated at the campsite next to the swings and close to the pond. The tent is equipped with a queen-size bed and two twin beds, all with pillows with cover and undersheets, but no duvets. 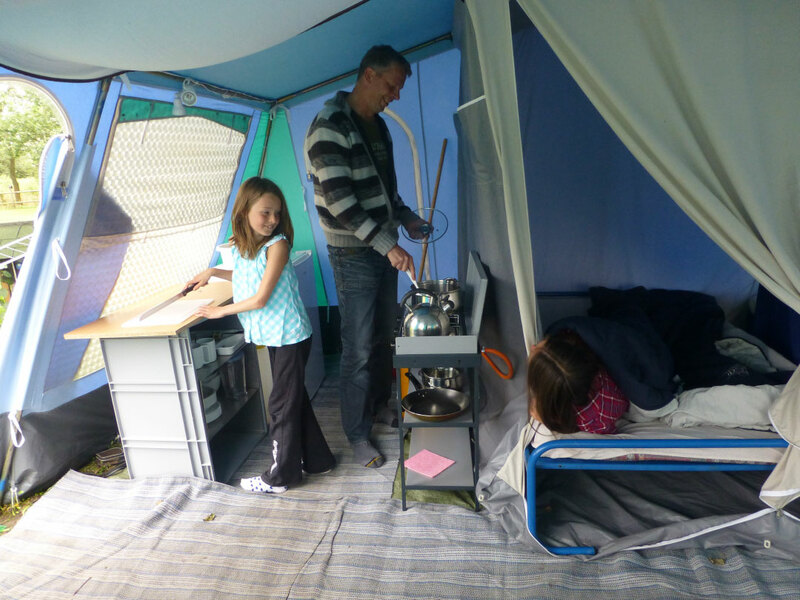 (remember to bring a duvet or a sleeping-bag).